As I have stated in the unboxing video, it looks absolutely breathtaking. The white, matte-plastic shell contrasts beautifully with the black screen edges. It is as if there’s a phone inside a phone (phoneception!). 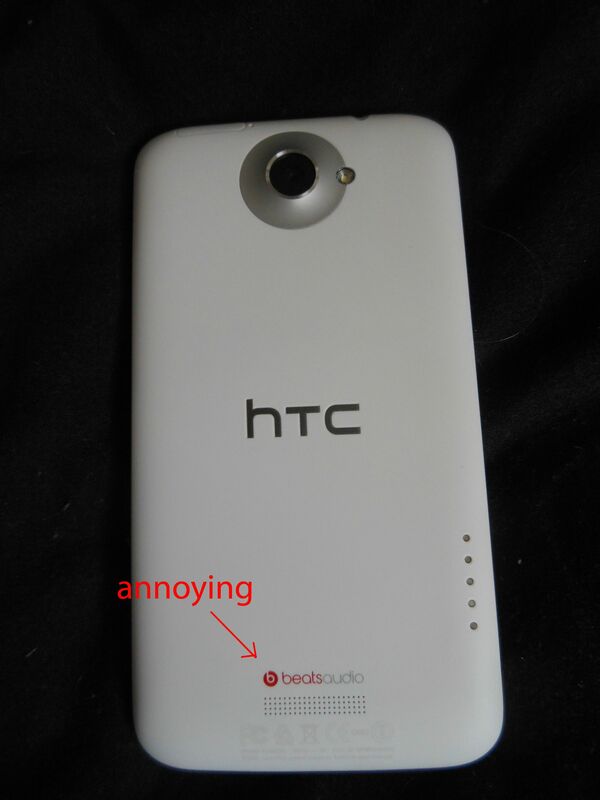 The only thing bothering me is the red ‘Beatsaudio’ logo on the backside, which distracts from the beautiful white shell. But, if this small logo is the only thing bothering me, this just shows how great the rest of the exterior is. Not only the exterior is breathtaking, if you are a nerd like me you’ll like what you find underneath the shell. The processor is a Nvidia Tegra-3, a quad-core processor clocked at 1.5GHz designed for tablet-PCs. If you don’t know anything about this stuff; the Samsung Galaxy S2 has a 1.2GHz dual-core processor. More isn’t always better (for the nerds, I just referred to the AMD vs Intel battle), but in this case, it is. The Tegra 3 processor has an additional fifth core, which will activate when your phone is idle. This, ofcourse, gives your battery a much longer lifetime. While I’ve arrived at the topic of the battery, I shall say one or two things about it. It has a capacity of 1850mAh, which isn’t great. I guess HTC has chosen for this option to keep the phone as slim as it is, because the battery still makes up a large portion of the phone. The battery isn’t removable, so if your phone crashes, you can’t perform a hard reset by removing the battery. This was sort of a drawback for me, because I like being able to pull out the battery in times of crisis, but HTC has come with a solution in the form of a button; you can press the power button for about 5 seconds, which will switch off your phone instantaneously. The internal memory of this phone is about 2GB, with an incredible amount of 32GB internal storage. This is complemented with a 25GB, free of charge, dropbox account. The screen is a 4,7 inch sLCD with a resolution of 1280×720. This is advertised as ‘HD’, but in fact it is more or less ‘HD-ready’. Real, full HD is a resolution of 1920×1080. But I guess, for a phone, 1280×720 really is high-definition. If you look at the screen closely, it’s still very hard to make up any separate pixels. The ‘dpi’ (Dots per Inch) is close to Apples 4th and 5th generation of iPhones (the 4 and 4s). A minor downside of this phone is that it only weighs 130 grams, while I like something a bit more heavy and solid. My HD2 weighs 180 grams, and felt like a sturdy phone. The One X does feel sturdy, but it is just a little bit too light for my liking. This really isn’t that big of a deal though. Sense is HTC’s custom skin for Android. It has been on HTC smartphones for as long as I can remember, and the introduction of the One X model also saw the introduction of the latest iteration of Sense; Sense 4.0. I had Sense 2.5 on my HD2, which ran Windows Mobile 6.5. I didn’t know if I disliked Sense then, or it was WM6.5 that provoked my discontent with the skin, but when I rooted my phone and put Android 2.3 on it, all my problems with my phone had been solved. Now, with Sense 4.0, I’m forced to give it another shot. It’s not that bad, for a regular user. It’s actually quite good. But I like to customize my homescreen, and Sense (for now) only gives me certain options to choose from. It just isn’t my taste. The main problem I have with Sense, is that it only offers 16 tiles per screen (4×4). While the screen is so big, having only 16 different app shortcuts on one screen just seems silly. There’s a lot of unused free space. I would prefer 5×6, and I know it is possible. I can’t find the option to change it to 5×6, so I assume the option isn’t there. But I’m fully confident that either HTC or the developers at XDA will provide an update to the firmware which adds this option. All in all, Sense isn’t that bad, but it could’ve been a lot better. It just doesn’t give the amount of freedom I want. Average users would find it useful. There’s been a lot of talk about the new version of Android, the follow-up to both Honeycomb (3.0, only used for tablets) and Gingerbread (2.3, especially for phones). The first phone to utilize this operating system was the Galaxy Nexus. The HTC One X is the second phone to make use of this system worldwide as a stock system. The biggest change since Gingerbread, is that it needs only three buttons (back, home, and a task manager) where Gingerbread needed four. Originally, these buttons would be on screen, but the One X has touch-sensitive buttons off screen. The system works really smooth, but I don’t know if that is because of Ice Cream Sandwich itself, or because the One X is overpowered with its magnificent specifications. Fact is, it’s a great system and it works great on this phone. Not all apps work on this version of Android yet, but that is my next topic. As I said, not all apps work on Ice Cream Sandwich. But don’t worry, those are mostly older, unofficial apps. I tried using a Gameboy Advance emulator, but it crashes everytime I tried loading up a rom. I don’t know if this will be fixed, as Google doesn’t really want apps on its marketplace which infringe on copyrights, in this case, Nintendo’s. This isn’t even the maximum of what the HTC One X can handle, but it’s a start. There are some apps coming to the Google Play store which are specifically targeted at Nvidia Tegra 3 processor-using phones/tablets, but a lot of them are still in development. Here’s a summary of Tegra-3 games (Click!). HTC has struck a deal last year with Dr. Dre’s company ‘Beats’, which has resulted in an app that is included on most HTC devices nowadays. 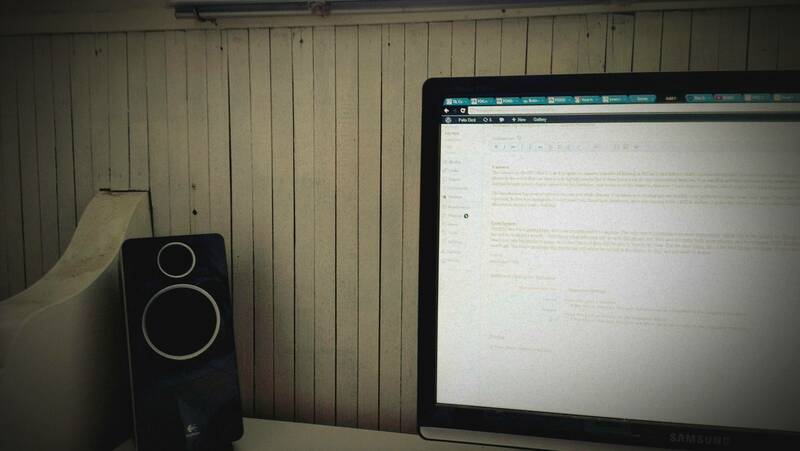 It promises to improve the sound output of music. I didn’t really notice a big difference when I used my Creative WP-350 (as shown in the unboxing), there was a deeper bass-sound, but it didn’t really make much of an impact. When I tried out the stock earplugs, I wasn’t impressed by the sound they produced. When I turned on Beats, I was actually blown away. I’ve never heard such good audio out of such cheap looking plugs, even beating the Sennheiser equivalent. I guess it isn’t the plugs, but the software which optimizes the audio for said plugs. On another note, the speakers aren’t that noteworthy. My HD2 produces a better, clearer and louder sound then the One X. But who listens to music from the speaker of their phone anyways? The Camera on the HTC One X is an 8 megapixel camera, capable of filming in HD (as I said before, that’s 1920×1080 pixels). It’s not a very good camera, but then again, there isn’t a phone in the world that can beat a real digital camera. But it does have a set of very interesting features. You can film and take pictures at the same time, which is a first for cellphones. My dad had bought a Sony digital camera for his birthday, just because of this feature. And now I have it on my phone, which is good if I want to gauge his eyes out for fun. Here’s a testvideo, with TV sound on the background. Oh, and yeah, what you see on screen is the review being written. Meta, huh? The camera also has a set of options you can use while filming. You know how Instagram can modify your pictures to make them look ‘artsy’? Well, the HTC One X can do that while taking a picture. So bye bye Instagram, I won’t need you. Good luck, facebook, after purchasing it for 1 billion dollars. I guess this will be a trend in future cellphones, which renders Instagram obsolete in about 2 years. Hahaha! 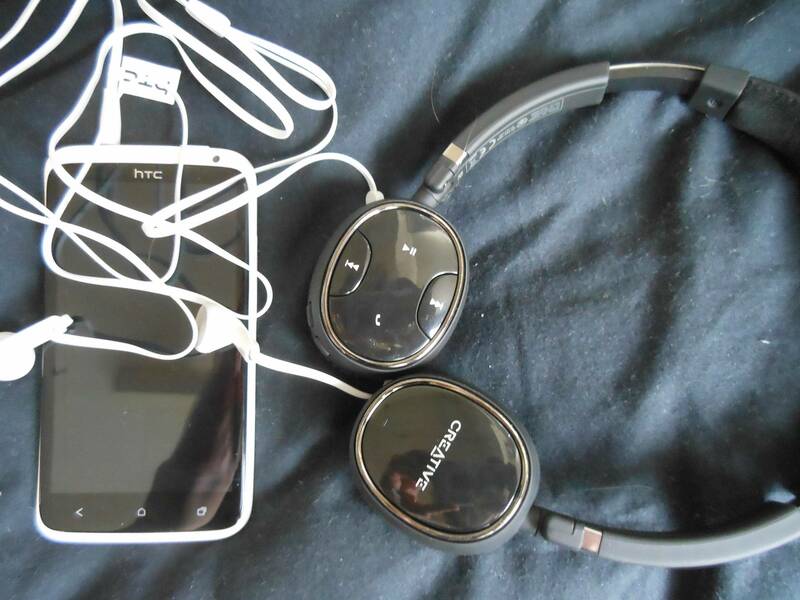 The HTC One X is a great phone, and I can recommend it to anyone. The only major downside is its main competitor, which will be the Galaxy S3. This phone hasn’t been announced yet, but will be in about a month. I don’t know what Samsung will do with this phone, but the S and S2 where both great phones, and have beaten HTC’s flagships twice in a row. However, the One X is a very big hurdle to jump, and I don’t know if they will be able to beat it this year. For the time being, this is the best phone out there. If you want a new smartphone, this is the one to get. The minor problems this phone has will either be solved in the future, or they are too small to matter.